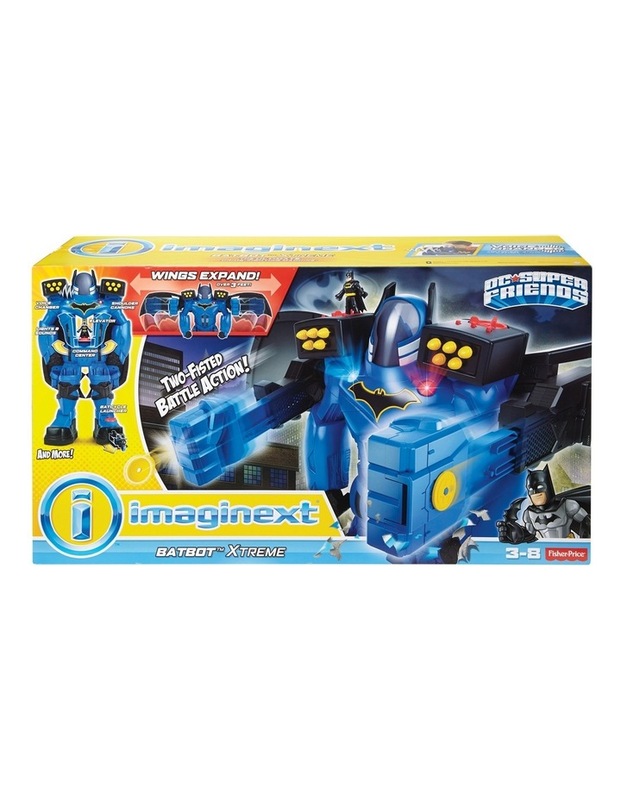 Fisher-Price - Batbot XtremeThe Imaginext DC Super Friends Batbot Xtreme is the ULTIMATE toy for Batman fans. With extendable wings, multiple projectile launchers, a hidden Batcycle, a voice changer, and real punching fists, your young Super Hero will have a blast defending Gotham City from all sorts of evil Super-Villain attacks! At over two-feet tall, the Batbot Xtreme towers over the enemies of Gotham City. With the turn of a Power Pad, kids send the robot into battle mode, extending its wings and arms and preparing for action. POW! Squeeze the triggers on the back of the Batbot to give those bad guys a super-charged, one-two punch! Turn the Power Pad on the robot's left shoulder to open the chest to reveal the hidden elevator that will take Batman up to the cockpit, where he can launch a counterattack. 3 2 1 FIRE! Press the launch buttons on the robot's shoulders to fire projectiles. 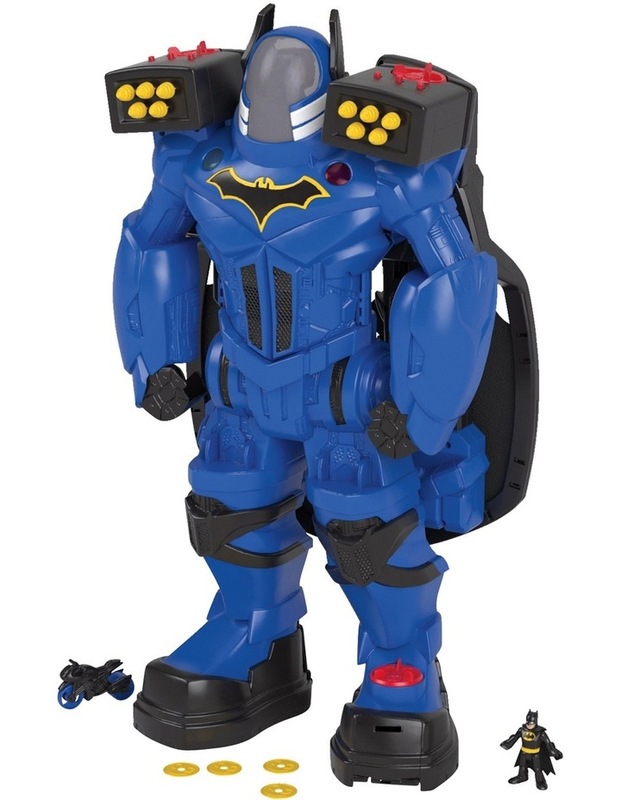 Kids can add their unique voice to the Batbot Xtreme with the super cool voice changer Haha! Take that, Super-Villains! For even more action-packed fun, turn another Power Pad to reveal the hidden Batcycle. Now your young Super Hero can send Batman racing into battle!